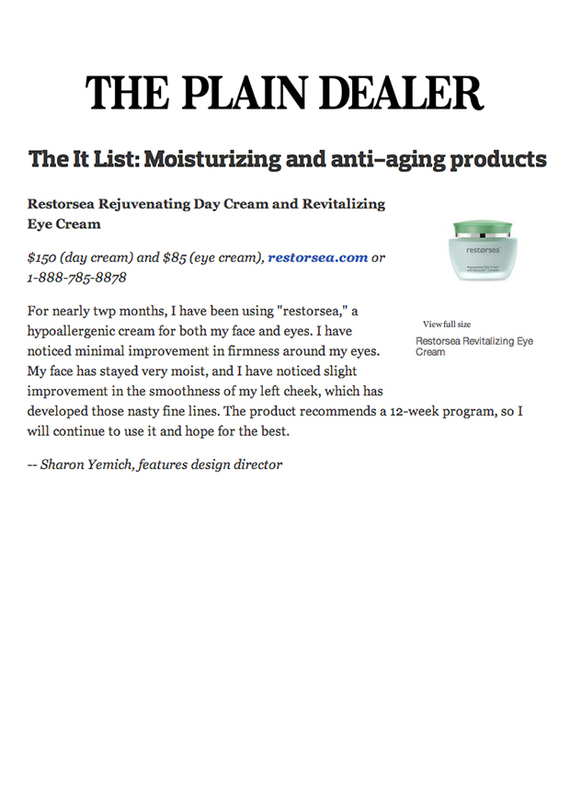 Sharon Yemich, features design director writes, "For nearly two months, I have been using "Restorsea," a hypoallergenic cream for both my face and eyes. I have noticed minimal improvement in firmness around my eyes. My face has stayed very moist, and I have noticed slight improvement in the smoothness of my left cheek, which has developed those nasty fine lines. The product recommends a 12-week program, so I will continue to use it and hope for the best."